The Texas A&M Real Estate Center has started providing more content for Commercial Real Estate markets in Texas that is very helpful to those of us following the Commercial Real Estate Markets. 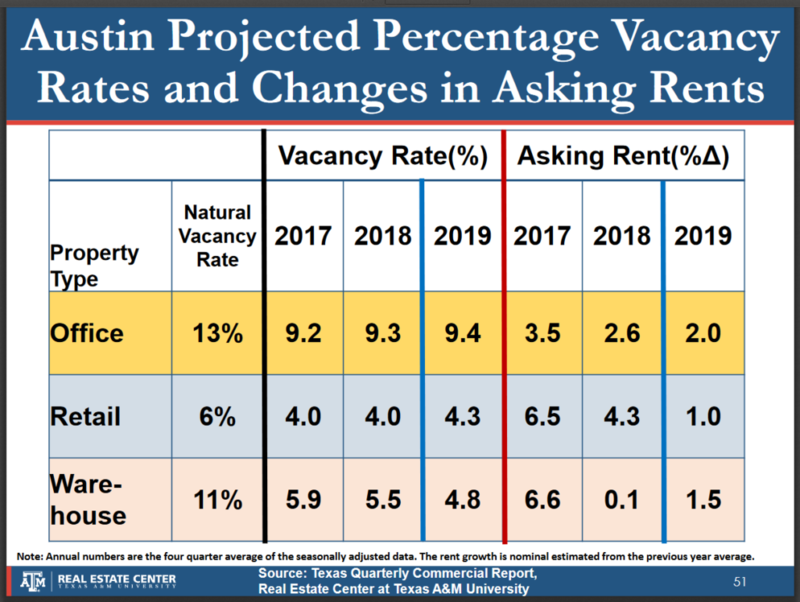 This graphic for our Austin market shows that we are below the natural vacancy rate for all three Commercial Real Estate (CRE) types and that rents look like they will continue to rise. 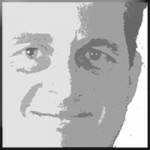 Retail rent growth however is projected to slow down in comparison to the last couple of years. It’s helpful to keep in mind the definition of “Natural Vacancy Rate”. The natural vacancy rate is the average percentage of rental properties that are not occupied when there is balance in demand and supply.